A while back, more than 200,000 Swedes were fooled to join a Facebook group that promised to donate 2 SEK per fan to the victims of the Haiti earth quake. Only problem was that once the group reached the goal, it changed name and added some really outrageous content. 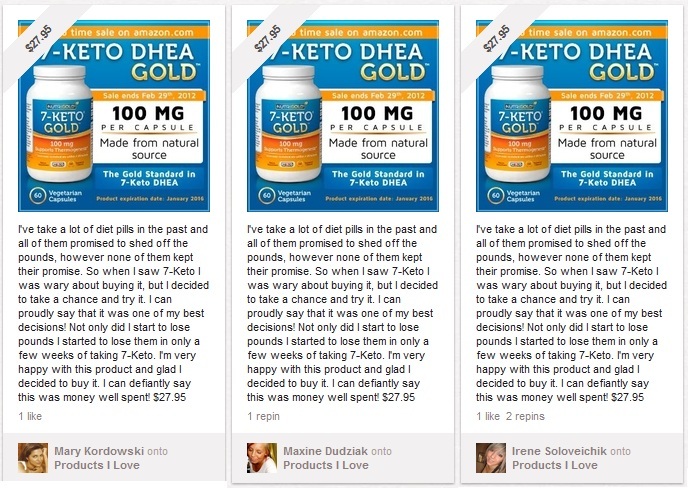 I was somewhat amazed that all these people didn’t see through that scam because when something seems too good to be true, it often is. 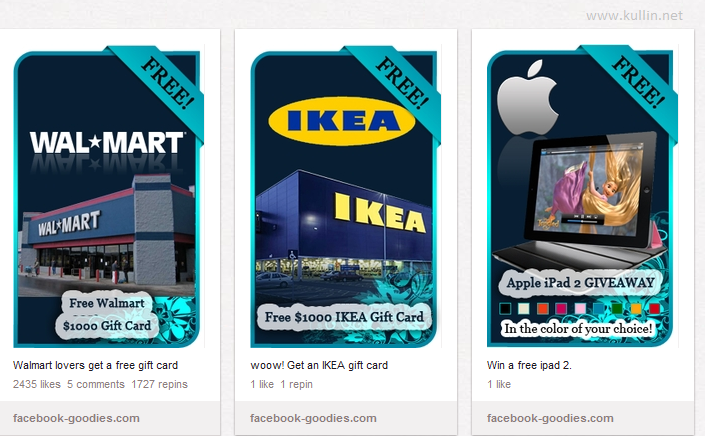 The latest scam is a Facebook campaign by IKEA that promises to give you a 1,000 USD gift card if you became a fan of the Swedish company. Of course, this is not really a campaign that is really run by IKEA. If you have any knowledge of the IKEA culture I’m convinced that you would agree that IKEA would never give money away in a stunt like this. IKEA spokesperson Mona Astra Liss says the “false offer” is not some half-baked publicity stunt by IKEA. 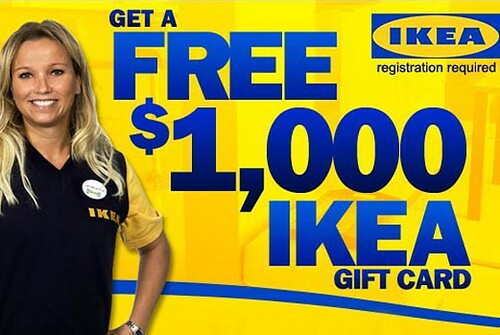 “It’s absolutely not a publicity stunt and absolutely not endorsed by IKEA,” she says. She adds that Facebook performs closed investigations of scams, so IKEA doesn’t know who’s behind the hoax. Tags: ikea, facebook, ikea. Ping. Just in time for the presidential inauguration of Barack Obama on Jan 20, IKEA yesterday opened up their Embrace Change website. It cleverly piggybacks on the historical moment when Obama will be sworn as the next president of the USA. 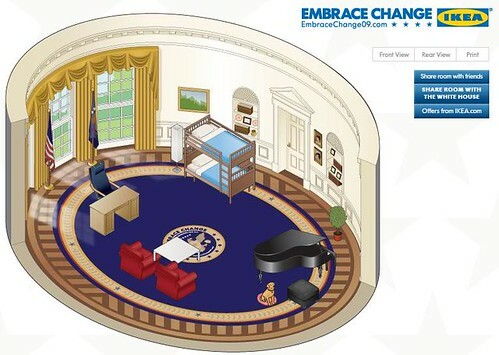 On the site you can furnish the oval office with IKEA furniture and then send your suggestion to the White House. Very clever. And doesn’t it look great with a bunk bed in the oval office? Tags: ikea, inauguration, barack obama, obama, usa, ikea. Ping. 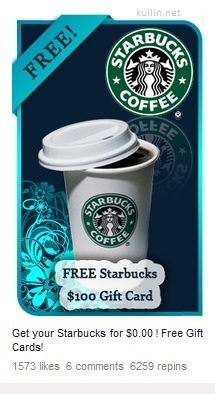 Search engines increasingly play a vital role in how brands are perceived. A study in 2005 showed that 40%, or twenty of Britain’s top fifty grocery brands had negative commentary amongst the top ten results on their Google search page. For some the negative comment is the number one result. This week, Media Orchard wrote about a simple way of illustrating “the impression a brand’s Google results are making on potential customers (or investors, or employees)”. 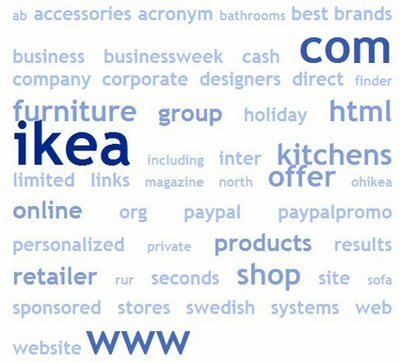 By taking all the words in the first three pages of the search results for a brand, and add them into TagCrowd, Scott at Media Orchard got several “brand clouds”, this one below is for IKEA. Here are the results for H&M. ; Not quite as flattering as for IKEA. Common themes are children, child labour and cotton. TagCrowd doesn’t work very well in Swedish, but there is a stop list of Swedish words that can filter out unwanted words. Tags: ikea, tag clouds, google, hm, barnarbete, taggar, ikea. Ping.